Automated storage provisioning using ServiceNow! InfoBeans can automate storage provisioning on Nimble storage array to help you optimize performance of your SAN network. You don’t need to struggle anymore or run around your SAN administrator for assigning storage capacity to servers, computers, virtual machines and other computing device in your network. InfoBeans offers a simple interface with one-step process to setup access control, performance policies, storage pools, protection selection and thresholds of your server disk drive space. 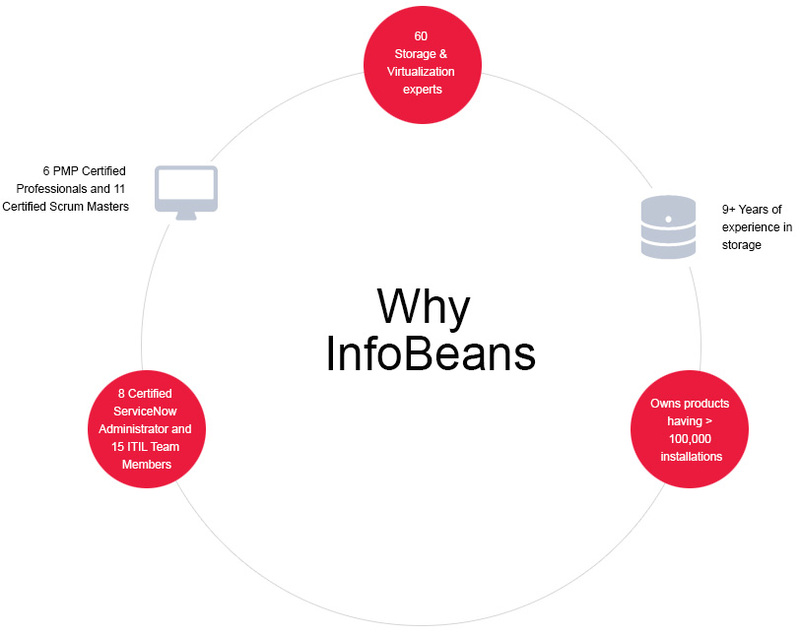 InfoBeans has developed an intuitive interface that allows user to provision for storage volume need in a single step process using ServiceNow! Offshore deployment to reduce total costs.